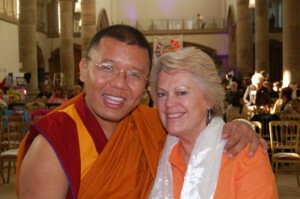 Peace Mala will continue to encourage peace and will benefit many people, especially children. 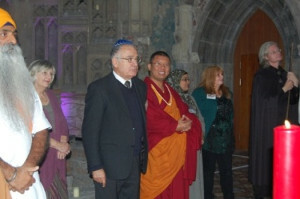 I wish the Peace Mala continued success and will do everything I can to support this much needed educational project. 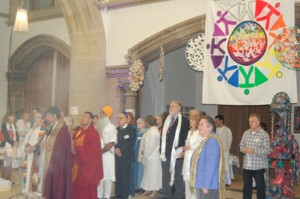 Ahbay Rinpoche first encountered the Peace Mala project at the Peace Mala Festival of Interfaith & Culture for Education held in the de-consecrated Franciscan monastery in Gorton, Manchester, UK on the 4th of October 2010. 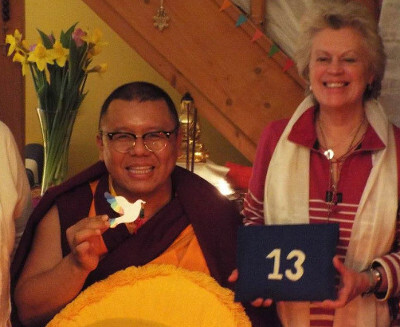 In February of 2017 he visited Wales and stayed with the founder as a guest at the Peace Mala Registered Office and Centre in Morriston Swansea. 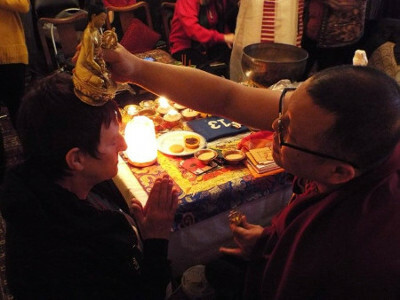 On Saturday 25th February, Rinpoche shared his teachings and led a Medicine Buddha blessing ceremony for over thirty people who attended a study day at the centre. 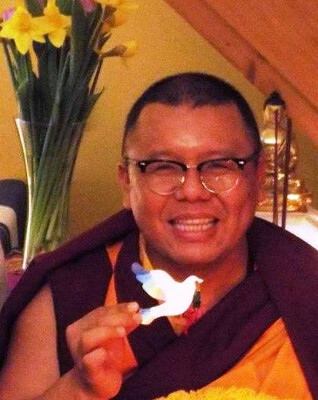 Lama Ahbay Tulku Jiigme Thupten Tendar Rinpoche was born in Darjeeling, India in 1973. 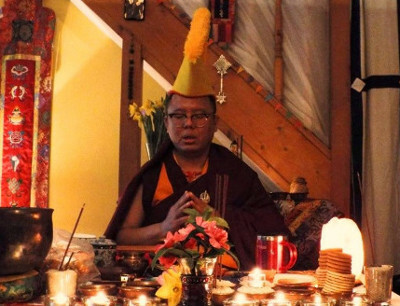 When he was nine years old he was fully initiated into monkhood and the tutor of His Holiness the Dalai Lama, Khabche Ling Rinpoche gave him the name Thupten Tendar. When he was twelve, His Holiness the Dalai Lama identified him as the reincarnation of the hermit Lama Lobsang Tenzin, who lived in a cave and was famous for his supernatural powers. One year later he was enthroned as Tulku in Gaden Jangtse Monastery. As the hermit Lama Lobsang Tenzin, the animals of the forest, deer and monkeys would come to him and people from all walks of like would seek him out for blessing. Lama Lobsang Tenzin was the founder of the YEGA CHOLING MONASTERY in Tibet. 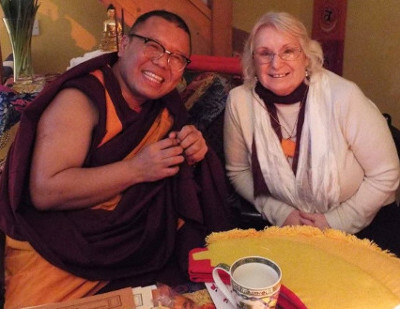 At present Lama Ahbay Tulku Rinpoche has full responsibility of YEGA CHOLING MONASTERY and its monks. 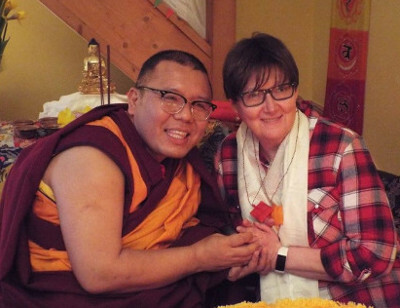 His project in support of his young monks and monastery project in southern India is gaining the support of many of his followers in Europe and the USA. 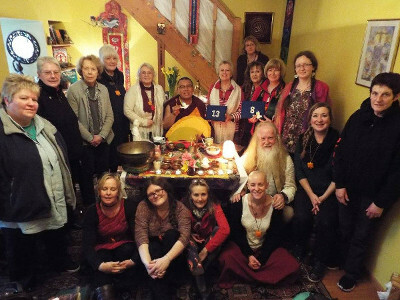 Rinpoche travels frequently to share his teachings and blessings and is much loved by all who meet him.